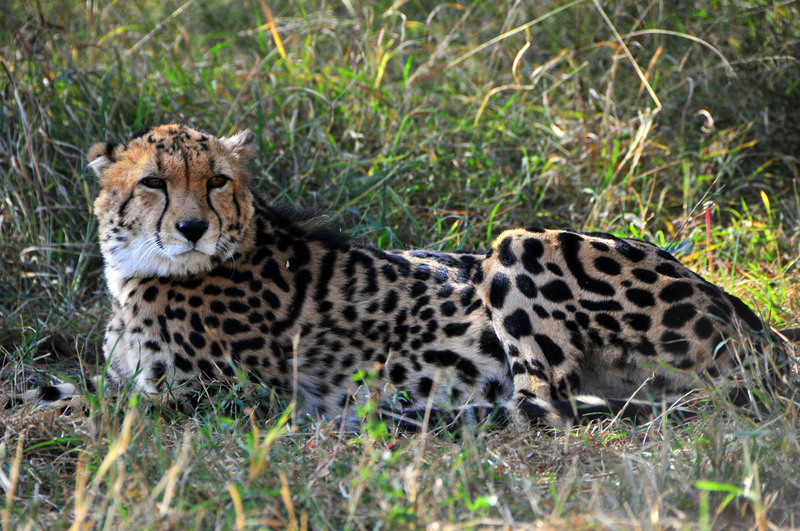 Why not save time and let Cheetah Paw plan your unforgettable vacation for you? These package offers enjoy more favourable rates than booking accommodation and activities separately. 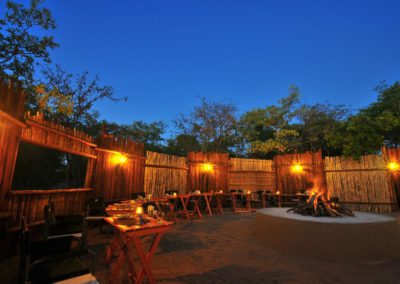 Drinks, Laundry, additional services such as conservancy fee, tips, personal expenses. We can arrange transfers to/from Nelspruit KMI Airport (MQP) and Johannesburg O.R. Tambo Airport (JNB) or other places. Prices are available on request. All itineraries are indicative and may change due to local conditions and circumstances. Arrival at Cheetah Paw Eco Lodge you will be welcomed by our team. Assuming you arrive at the lodge before 1pm, a light lunch will be served. In the afternoon you will go on a Game Drive in one of our neighbouring ‘Big Five’ reserves, where you will experience close encounters with wild animals. 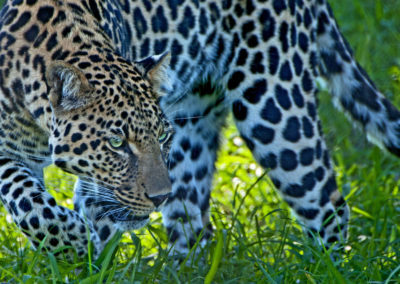 If you are lucky you may meet some, or even all of the Big Five – Lion, Buffalo, Elephant, Rhino and Leopard. When you are back at the Lodge dinner will be ready. Leaving early morning before sunrise for a full day guided tour into the Kruger National Park, the largest national park in South Africa, and one of the largest in the entire Africa continent. Coffee, tea and rusks are provided at the lodge before you start, and a packed breakfast at a picnic spot in the Kruger Park is provided. Lunch will be at a rest camp inside the Park. Return to the Lodge for dinner. In the morning when the bush is waking up, you start a guided walk on our conservancy for about 1.5 hours. Experience the wonderful bush and explore the nature. Find animal tracks and learn about the little things that make the bush so special. This experience is botanical-focused. Enjoy your breakfast at the lodge. Check out and departure. Enjoy breakfast at the lodge before you leave towards the Drakensberg Mountains. Experience the wide outspread nature and the amazing overlooks of the Blyde Canyon. The sites we will visit all offer breathtaking views and beautiful landscapes and are perfect spots for photo shoot. Lunch will be in a restaurant on the way at your own expenses. Return to the lodge for dinner. Before Breakfast, a highlight of all visitors – a walk with 2 wonderful White Lions. These are rescue animals. The Rhino Savers of South Africa is part of the rescue operation and underwrites the care of these beautiful lionesses. It needs to be reiterated that this is NOT a breeding program – only for educational purpose. After Breakfast, you will be taken to meet one of Africa’s most well-known animals – Jessica the Hippo. Meet her close up and personal. Lunch will be at a local restraint at your own expenses. In the afternoon, you will visit the HESC (Hoedspruit Endangered Species Centre), where you will learn more about the cheetah breeding project and witness our conservation efforts. Get closer to some wonderful animals that are hard to approach in the wild. You will be back at the lodge for a relaxing sundowner on the deck overlooking the views of the Drakensberg, while waiting for dinner to be served. In early morning we depart to meet one of the Big 5 animals – the almightily elephant, and interact with Sebakwe, a magnificent elephant who is the face of the famous South African liqueur – Amarula. You will be informed of Elephant rescue efforts and rehabilitation. The interaction is about 2 hours, after which you will return to the lodge for breakfast. 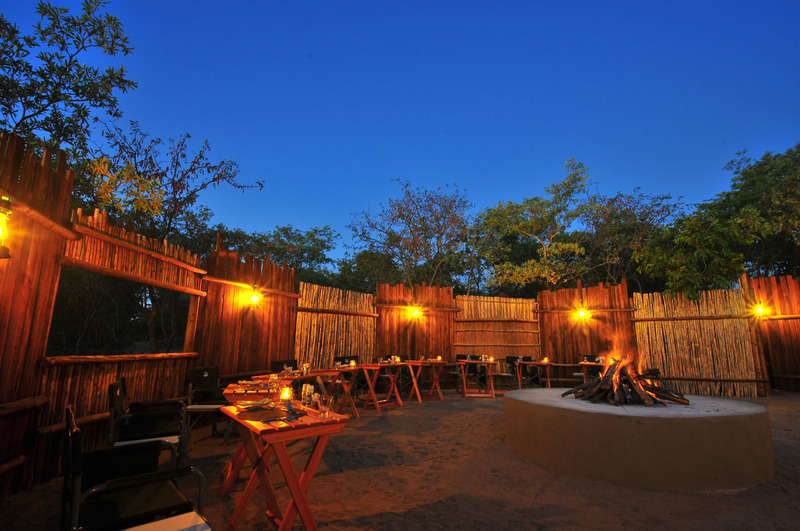 After breakfast you will enjoy some leisure time at the lodge where you will have a light lunch. Mid-afternoon you depart for your Sunset Drive in Kruger National Park. These drives leave before dusk and return after sunset lasting around three hours. Search for grazers in the cool afternoon and predators starting their nightly hunts. 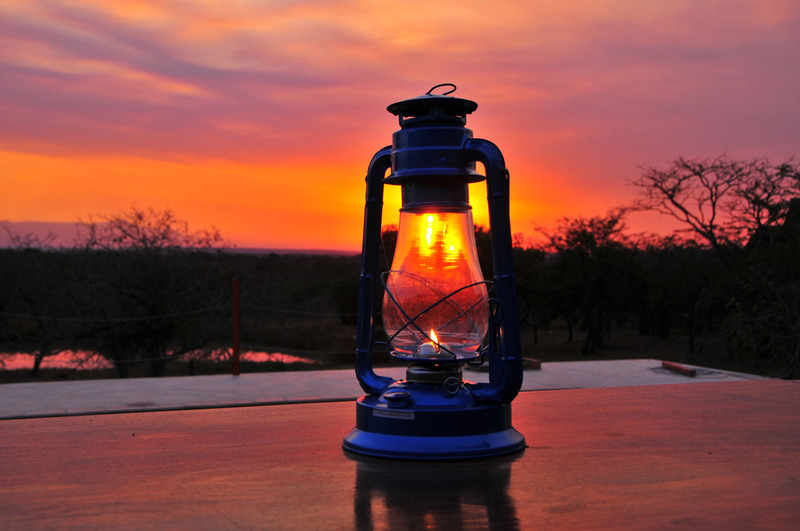 Sunset is a time when night animals emerge and a drive during this period is the perfect opportunity to witness the beauty of the bush as it changes from day to night. Learn about fauna and flora from our expert guides. In early morning we depart to meet one of the Big 5 animals – the almightily elephant, and interact with Sebakwe, a magnificent elephant who is the face of the famous South African liqueur – Amarula. You will be informed of Elephant rescue efforts and rehabilitation. The interaction is about 2 hours, after which you will return to the lodge for breakfast. You will then go to learn more about the South African wildlife on a guided tour at the Moholoholo Rehabilitation Centre. Moholoholo opens its door to abandoned, injured or poisoned animals in South Africa. There you will also have a close encounter with lots of rescued birds of prey. You will return to the lodge for a light lunch followed by some leisure time. Late afternoon, a highlight of all visitors – a walk with 2 wonderful White Lions. These are rescue animals. The Rhino Savers of South Africa is part of the rescue operation and underwrites the care of these beautiful lionesses. It needs to be reiterated that this is NOT a breeding program – only for educational purpose. After breakfast, depart for a wonderful relaxing 2 hour boat river cruise on the magnificent Blyde River. Then you will be taken to meet one of Africa’s most spectacular animals – Jessica the Hippo. Meet her close up and personal. You will stop at a local restraint for a light lunch. The day will end with a visit the HESC (Hoedspruit Endangered Species Centre). 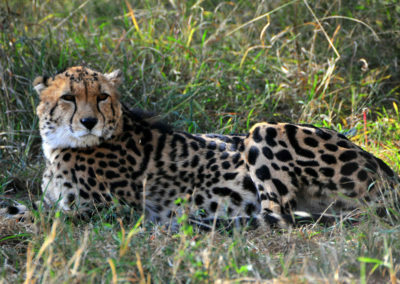 Here you will learn more about the cheetah breeding project and witness our conservation efforts. 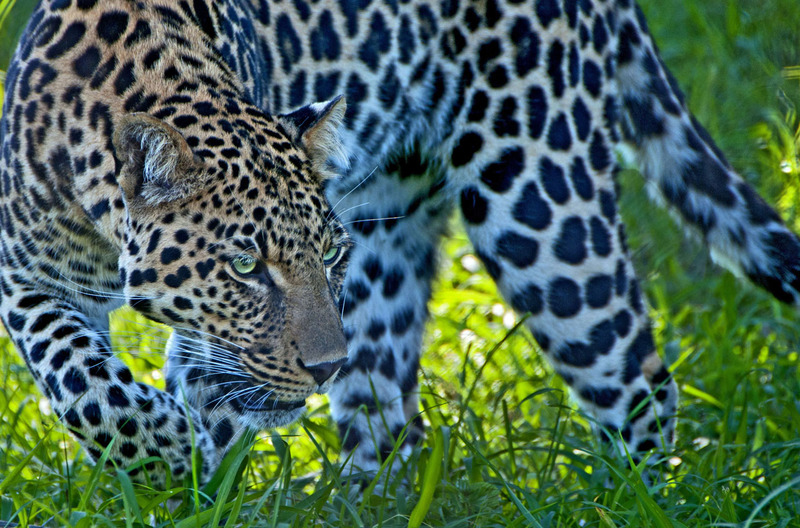 Get closer to some wonderful animals that are hard to approach in the wild. You will be back at the lodge for a relaxing sundowner on the deck overlooking the views of the Drakensberg. In early morning when the nocturnal animals go to rest and the diurnal animals start to be active, you start your game drive in one of the neighbouring reserves and experience close encounters with wild animals. Enjoy a wonderful and relaxing afternoon on our sundeck at the pool with the wonderful mountains in the backdrop.